He smiles blissfully as you enter. It’s as if he is having a normal chilled day – but there’s something more to this smile. And there’s a lot to know about his famous house: Wat Pho. Wat Pho is open from 8AM to 5PM. It costs around 100 Baht to enter, and you get a free bottle of water. The easiest way to get to Wat Po is to take the Chao Phraya River Express to Tha Thien Pier. From there, you can walk through the market and cross the street to the entrance. 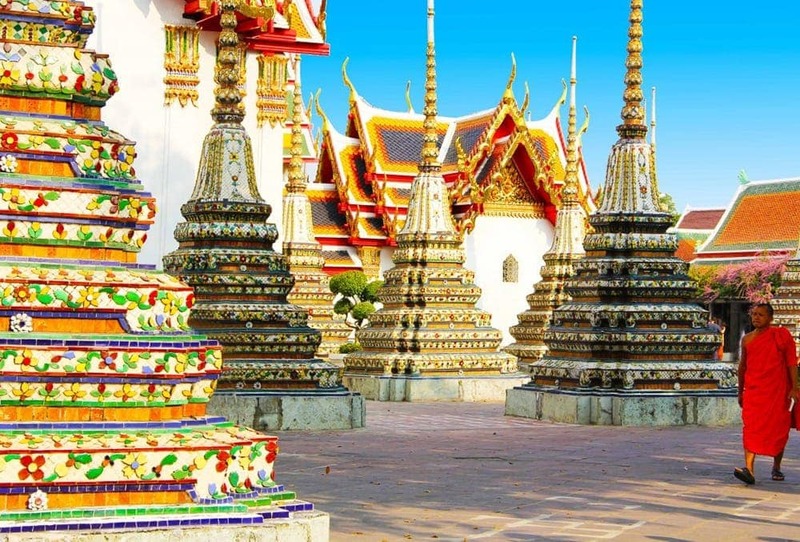 Once known as Wat Potaram, Wat Pho is the oldest temple in Bangkok. In fact, it was founded in the 17th century, when the kingdom of Thailand was still based in Ayutthaya. This means the temple is much older than Bangkok itself. After Ayutthaya was sacked by the Burmese, King Rama I enlarged the temple to install the statues and artifacts that were salvaged from Ayutthaya in 1801. The temple was then renamed as Wat Phra Chetuphon. 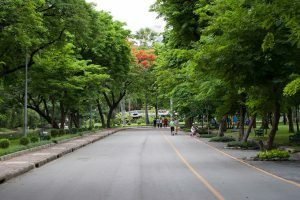 In 1832, under the command of Rama III, the temple went through an expansion to accommodate Thailand’s first university. 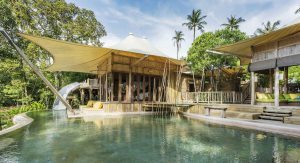 It was also then that he ordered the building of the Wiharn where the reclining Buddha lives today. What does the reclining Buddha represent? 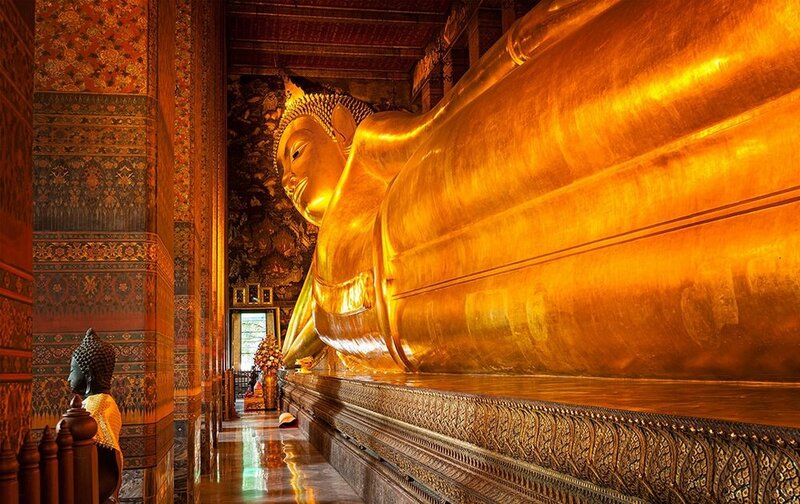 Although the reclining Buddha looks like someone chilling on a chaise lounge, it is actually a representation of Buddha’s last moments on earth during his illness. It represents the moment he was about to enter parinirvana, the nirvana after death. He is lying on his right side with his blissful face resting on a cushion as he supports his head with his hand. On the soles of his feet, there are 108 auspicious signs which distinguish a true Buddha set on a mother-of-pearl background. As a way of commemorating his passage to the afterlife, his disciples built a statue of him in this pose. This is now the grand, golden statue that lies inside Wat Pho. Decades later, more versions of reclining Buddhas were created all over South East Asia. What will you find around the reclining Buddha? 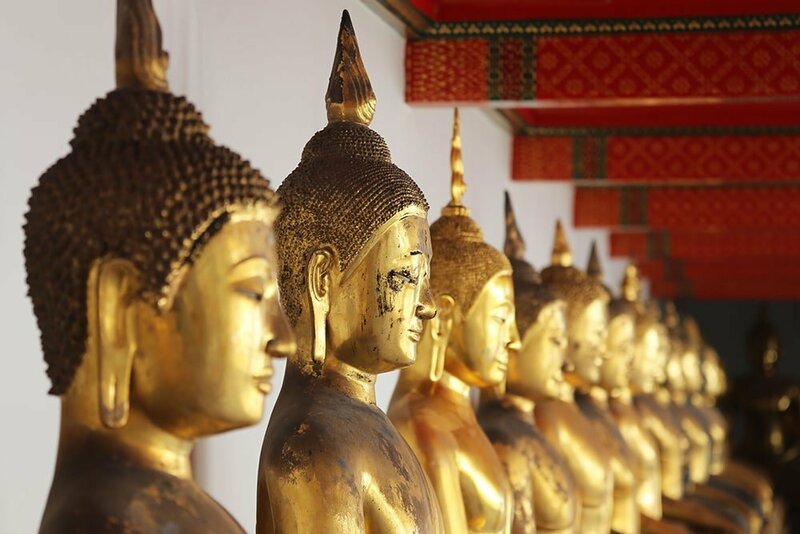 Next to the Wiharn of the Reclining Buddha, you will find three chedi standing in a row. The one at the center is the oldest, built by Rama I to keep the Phra Si Sanphet Buddha, saved from the fall of Ayutthaya. The chedi on the north contains the ashes of Rama II and the one on the south has the ashes of Rama III. The fourth chedi was built for reasons unknown by Rama IV. Behind the courtyard where the chedis of the four kings are located, there’s a also mondop with a pyramid-like, layered roof that holds ancient scriptures written in palm leaves from Ayutthaya. It is, however, not open to visitors. There’s also a cloister with 400 Buddha images. Outside this cloister are 152 gray stone plaques that illustrate the Ramkien, the Thai version of the Hindu epic, the Ramayana. Made from the stones recovered from a temple in Ayutthaya, it was quite common for hawkers to rub off crumbs from these plaques to be sold outside the temple grounds. Another highlight of Wat Po that you should not miss is the capable hands of the students in their massage school. For the small price of 250 Baht, you can get the best of the best of Thai massages. What’s the best wat pho picture you’ve taken? Stuffed in a narrow Wiharn, there is no way one can get a full image of the Reclining Buddha with the crowd of people that gather around it and the lack of space to fit the long statue into a frame. Some have gotten quite creative in capturing the likeness of the Reclining Buddha. Others settled for the temple details outside the Wiharn. 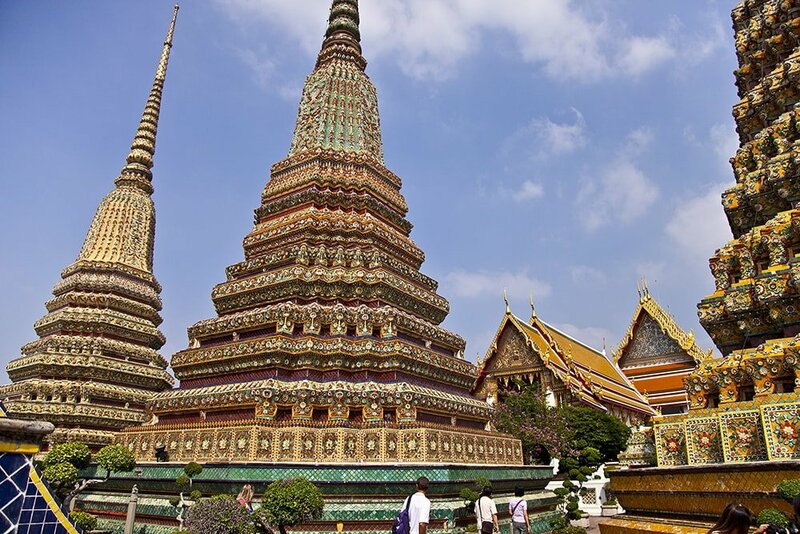 Share with us your best Wat Pho photo.